In 2012 I won the Excellence in Teaching With Technology Award for this work. My cognitive science summaries website is at http://www.jimdavies.org/summaries/. My brain areas mnemonics website is at http://brainareas.pbworks.com/w/page/10983363/FrontPage. I neglected to mention the Artificial Intelligence Wikibook (http://en.wikibooks.org/wiki/Artificial_Intelligence), but I mention it in the longer version of the talk below. 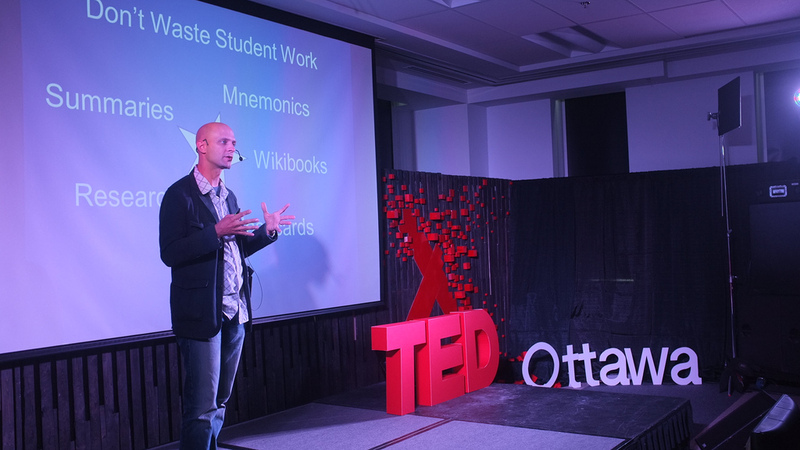 A longer version of the talk I gave at Carleton in 2009, including a Q&A.